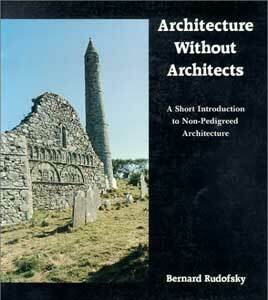 In this book, Bernard Rudofsky steps outside the narrowly defined discipline that has governed our sense of architectural history and discusses the art of building as a universal phenomenon. He introduces the reader to communal architecture--architecture produced not by specialists but by the spontaneous and continuing activity of a whole people with a common heritage, acting within a community experience. A prehistoric theater district for a hundred thousand spectators on the American continent and underground towns and villages (complete with schools, offices, and factories) inhabited by millions of people are among the unexpected phenomena he brings to light.The beauty of "primitive" architecture has often been dismissed as accidental, but today we recognize in it an art form that has resulted from human intelligence applied to uniquely human modes of life. Indeed, Rudofsky sees the philosophy and practical knowledge of the untutored builders as untapped sources of inspiration for industrial man trapped in his chaotic cities.